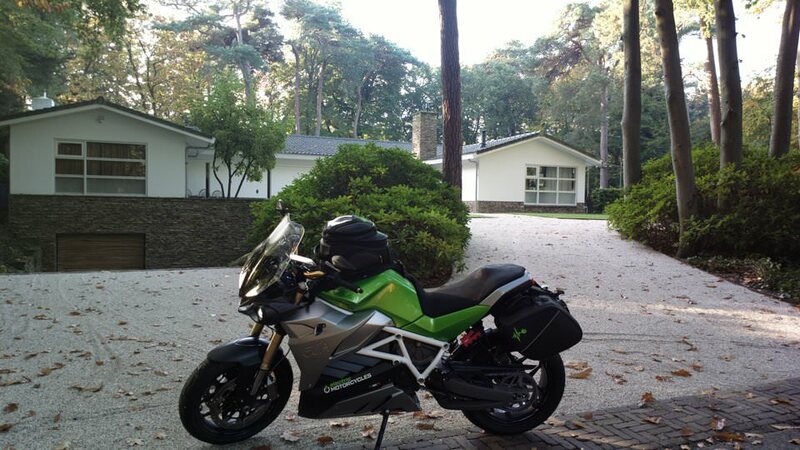 Last year, I competed for a day of riding the Energica Eva on the facebookpage of EC rent and guess what... I won! 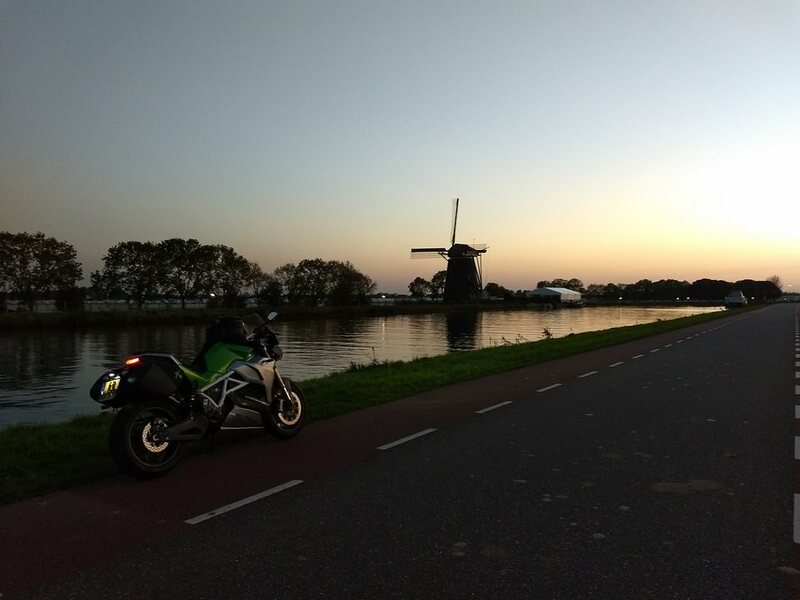 It took me a while, but months later I took the Energica Eva for a spin. You can read all about it here, in Dutch. 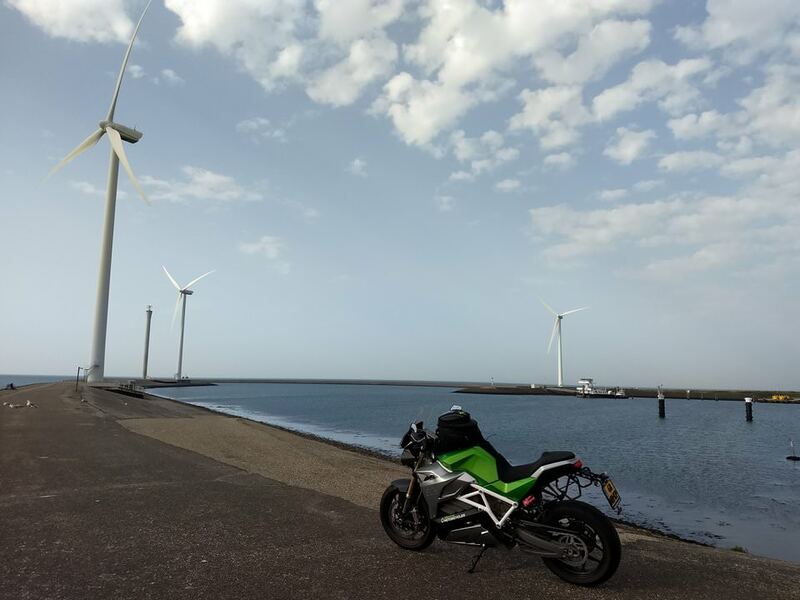 A combination of events, and my own Honda TransAlp motorbike experiencing some technical difficulties (with the electrics, 'funnily' enough) got me to make one of my best decisions of last year. Reading the weather reports I decided I should take out Eva again and this time head out for some Dutch adventures around the Lek river and Zeeland (where my parents have a holiday home). I contacted Marchel who was kind enough to make everything work out smoothly, very much at the last minute! (my favourite style). 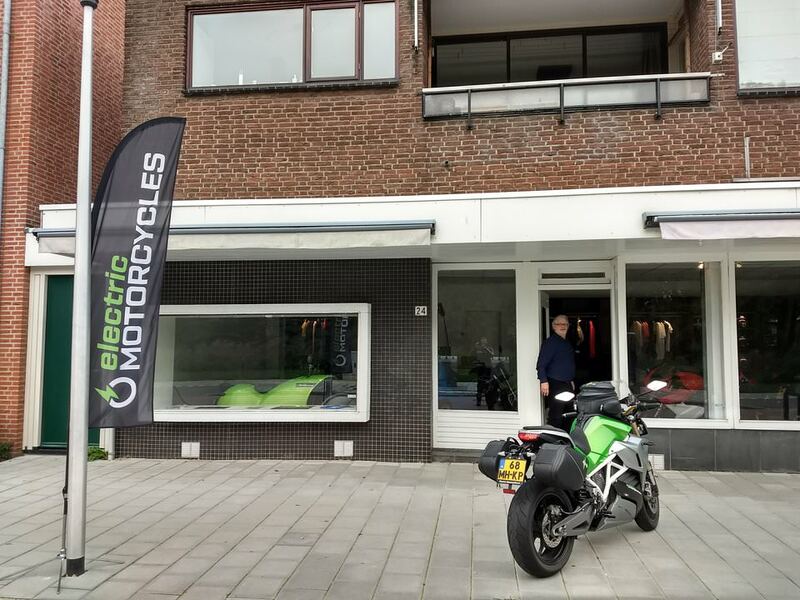 You can book your own Eva directly on the website of Electric Motorcycles. Eva dropped off in style, look at that shining Model X. Riding home I immediately noticed it was probably a month ago that I took out Eva for a day, I had to get used to the heavy front weight thanks to the huge battery that's been nicely hidden. 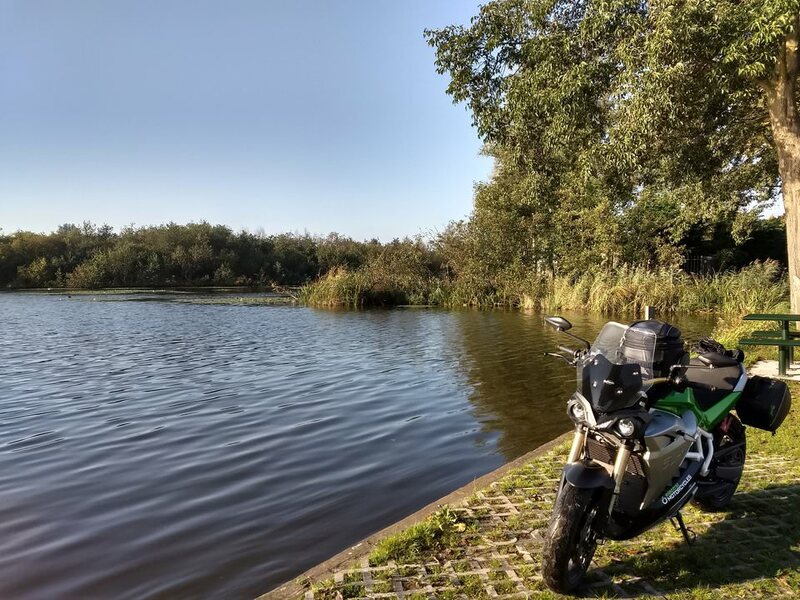 A friend of mine was traveling the world at the time, I was staying at his place, my first ride was back home. I parked in front of the house, getting ready for the trip to the South. I ordered a small part to connect my phone to the steering wheel of the Eva. This will be my last trip navigating without serious means, soon I will be able to use all my favourite apps like Waze, important to navigate freely over the next couple of days! 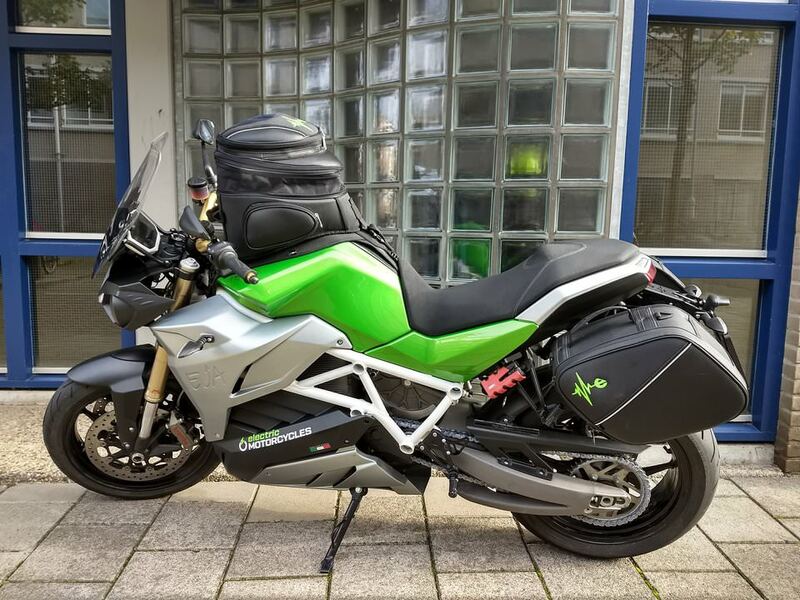 As you can see, taking Eva for a 'big trip' is not an issue, the charging cables fit into one of the side bags, which leaves all the rest of the packing space to fill up as you please. Plus you have a great hump to lean on, very comfortable. On our way to Zoetermeer! Let's try some more fast charging which I love so much. 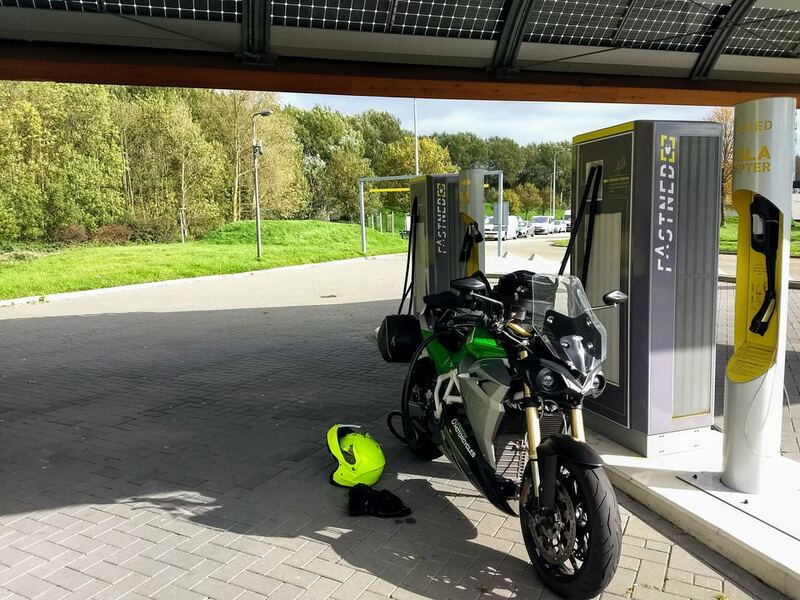 Fastned, covering The Netherlands with their fast charging network, I wouldn't know what to do without you! 4789 km on the tacho when heading for my first (fast) charge session. Look at Holland charging like rapid rabbits! 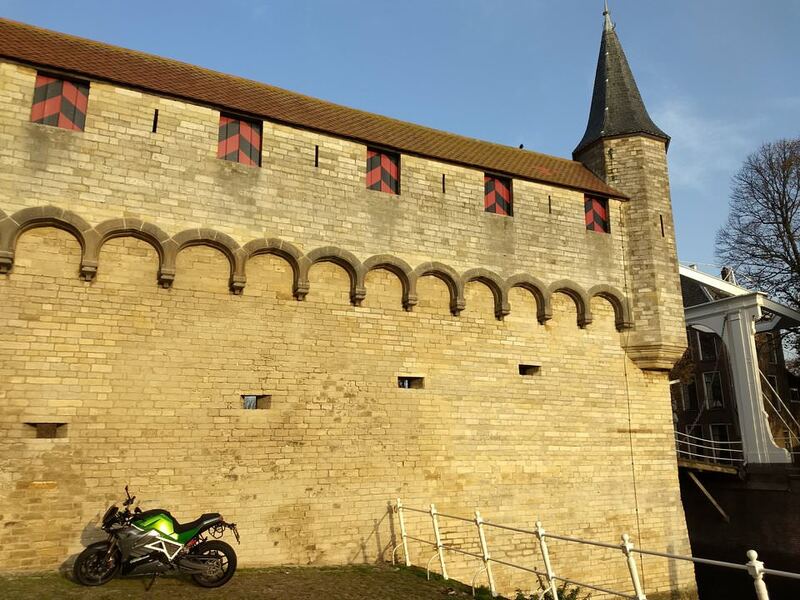 (Fastned Bospoort). charging stats 15 minutes of fast charging: 41% to 80% battery. 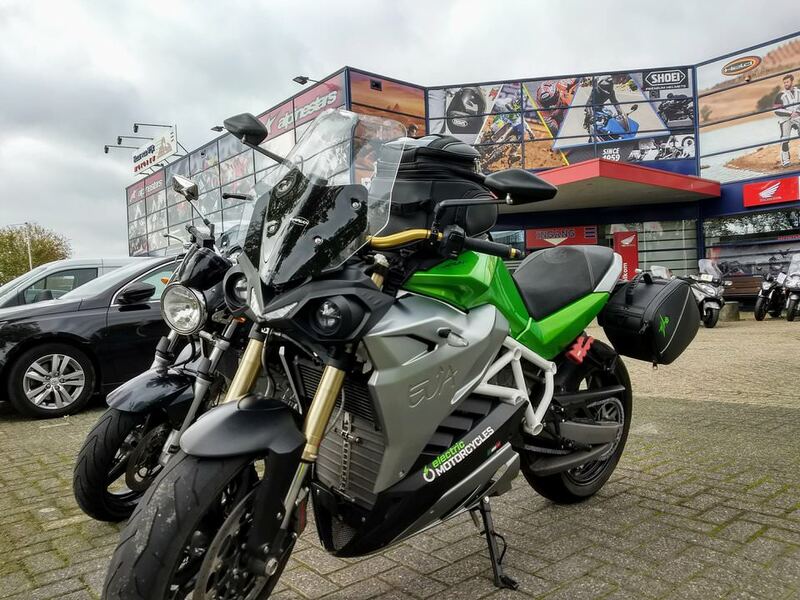 Paying a visit to Hans van Wijk Motoren in Zoetermeer to find a SP-CONNECT universal sticker, connecting my OnePlus 3 phone safely to Eva. One of the few stores in The Netherlands to actually have this item in stock! 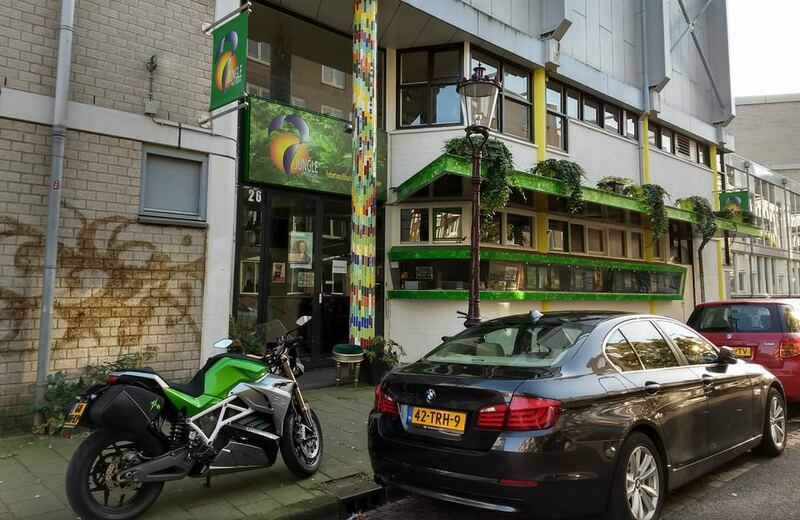 Hans van Wijk Motoren Zoetermeer, splendid service. On to the next fast charger, let's try to get an understanding of what I can do with Eva without going crazy, let's get rid of my range anxiety! 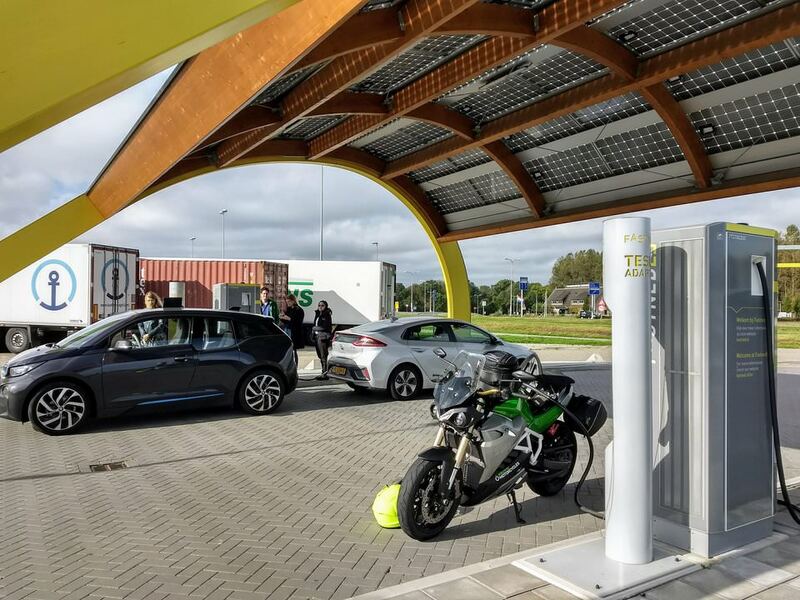 Fast charging at Fastned Knorrestein. charging stats 15 minutes of fast charging: 57% to 85% battery. When I get back to town, I connect to the charger again, time to do some work. charging stats 60 minutes of slow charging: 35% to 55%. Some statistics after the ride, avg 6,5kWh usage. 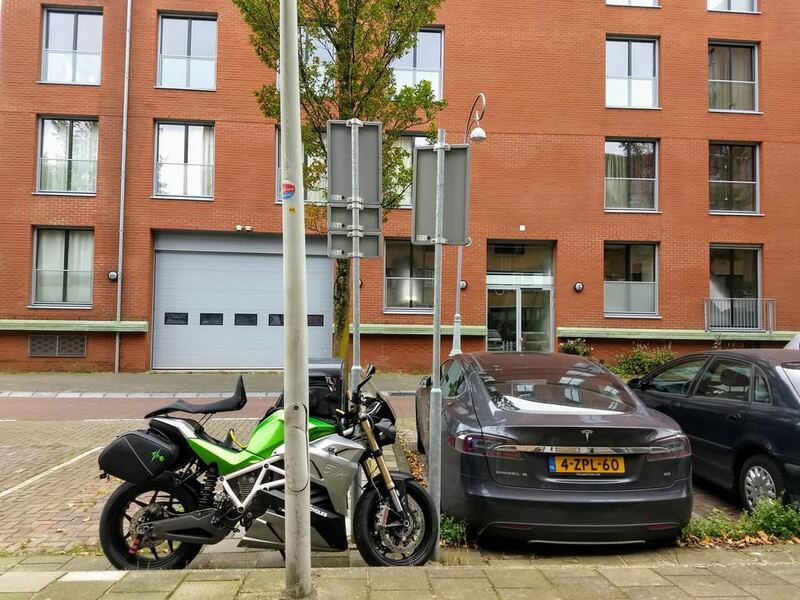 Charging at home, Amsterdam Wittenburg. Visiting a client, showing off Eva in the center of town. 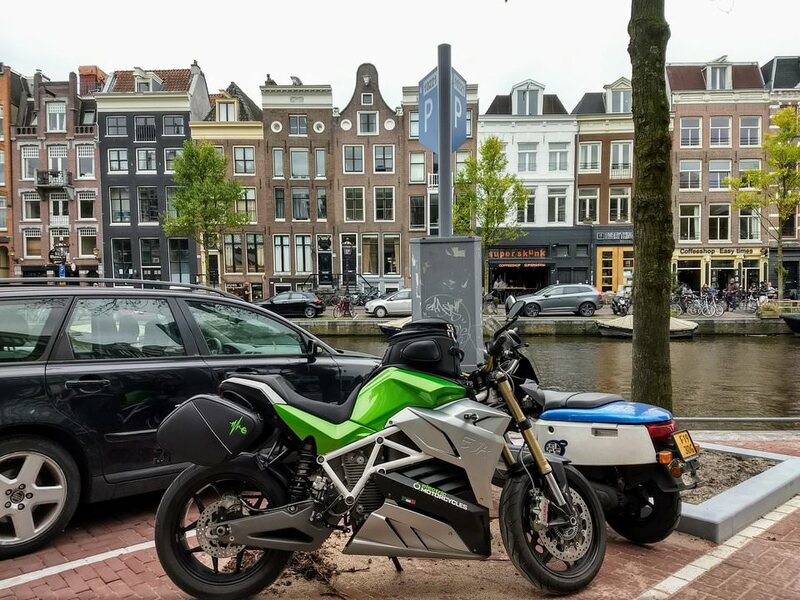 Parked at Prinsengracht, Amsterdam. Picking up a friend, visiting the Waterleidingduinen today. When drinking a coffee together, alwaysbecharging. Highlight during our 8 km walk is probably this one. Well hello there. After the Waterleidingduinen, it's time to go into town. The old town of Haarlem. Why not make it all the way until we find a place for a salad and a coffee! Eva shining between the people. Certainly attracting lots of attention. 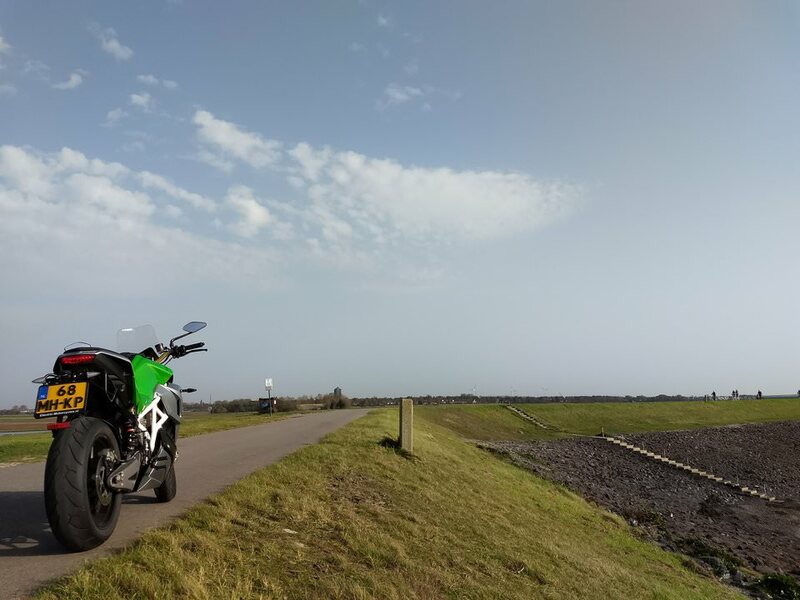 Later that day I took out Eva to the KNSM island, one of my favourite spots in Amsterdam. Yes, this is with some added filters, thanks Google. Eva visiting KSNM island, Amsterdam. These days in October, 2017 the light is so beautiful. I go all out taking photos of Eva everywhere, this is early Sunday morning. Eva close to home, Amsterdam Wittenburg. On my way to the Lek river I found a suitable house for Eva. Now this looks like a house where Eva would be a suitable guest. On my way South crossing Loosdrecht. We might not have mountains, we have lots of water!. I thought Waze protected me, and then I noticed a flash. Oops. Did that really happen? A few weeks later Marchel sent me an email. Yes, it really happened. Proof, wizzing by. Yes, there you are, my precious Lek. The Lek river. In this neighborhood there were motorbikes everywhere. I spoke to some of the riders, they were looking at me like I just arrived from the moon. Everyone asked me about range. The word future made it into the conversation a lot of times. This is somewhat funny, because while they love that word, I'm standing right in front of them. We're not looking at the television showing us something that will happen someday. They could've hopped on and 'not believe the future' right then and there themselves! Some regulars, and Eva. Wait a second, where did the exhaust go? 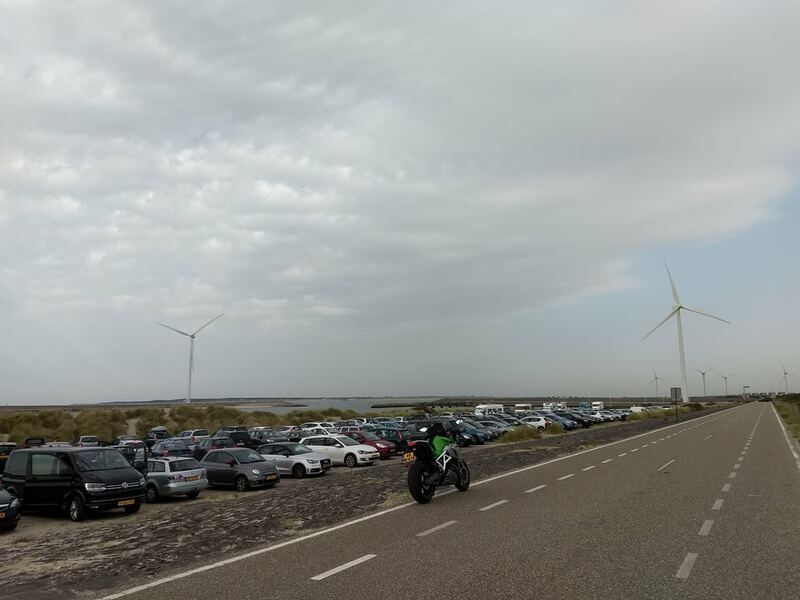 Arriving at Fastned De Kroon was not my favourite moment. I'll explain. I was playing around with the different modes and tried to set the bike to Eco just to know what it would feel like. You can only switch modes when riding slowly (I was not aware of this), and I was on a 80 km/h road. 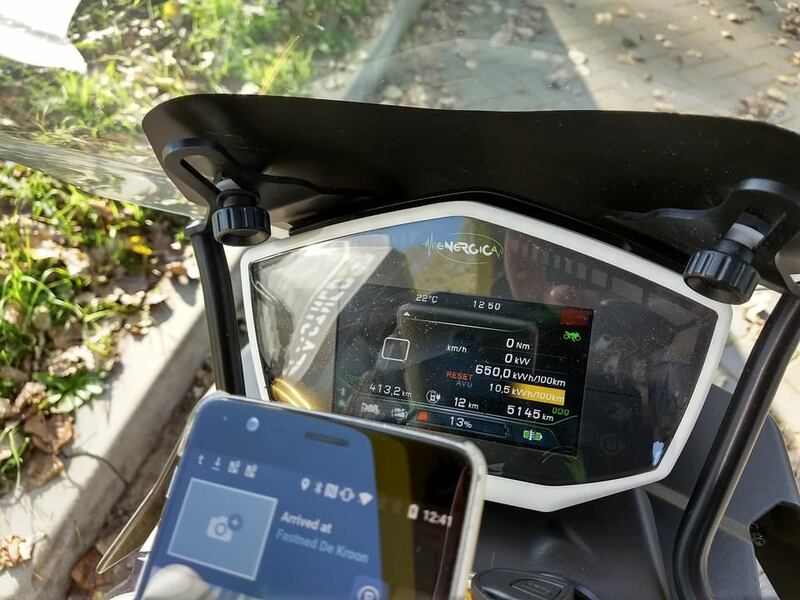 Just before entering the highway, looking for Fastned, I slowed down, the bike changed to eco, because I set that mode earlier, and gone was the power. It seems 'eco mode' limits you to around 90 km/h and obviously that's not what you want between cars going anywhere between 100 & 130 km/h. Ouch, luckily Fastned wasn't far away. Phew, I made it. 13% in half an hour to 89%! The future, is now, thanks Fastned. In the afternoon I had to be back in town, because there was the Tambourine party (before Amsterdam Dance Event edition)! Look at Eva blending perfectly with Jungle Amsterdam! Eva wants to come in, Jungle Amsterdam has the wooden dance floor she'd love to try. 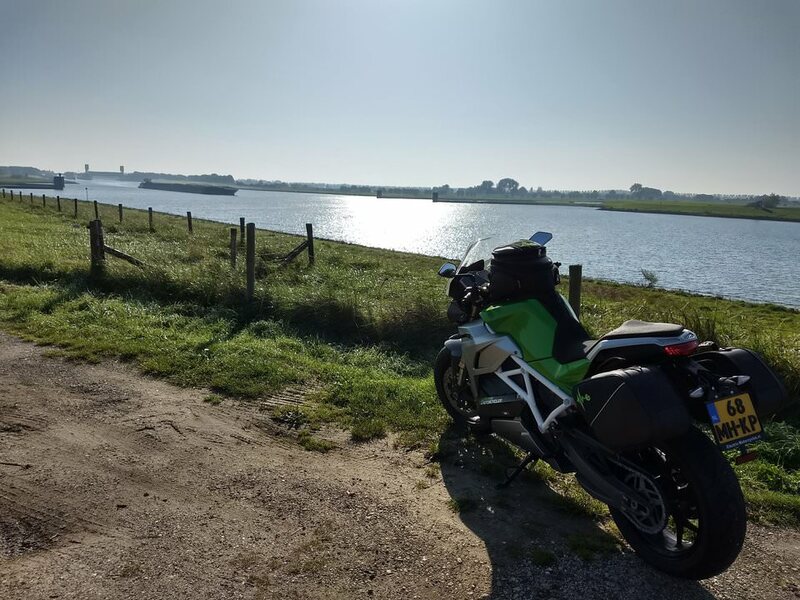 Finding the non-highway roads to get to Maassluis turns out into a beautiful ride. The Lage Landen and Eva. In the early evening I left for Zeeland, Zierikzee to be more precise. 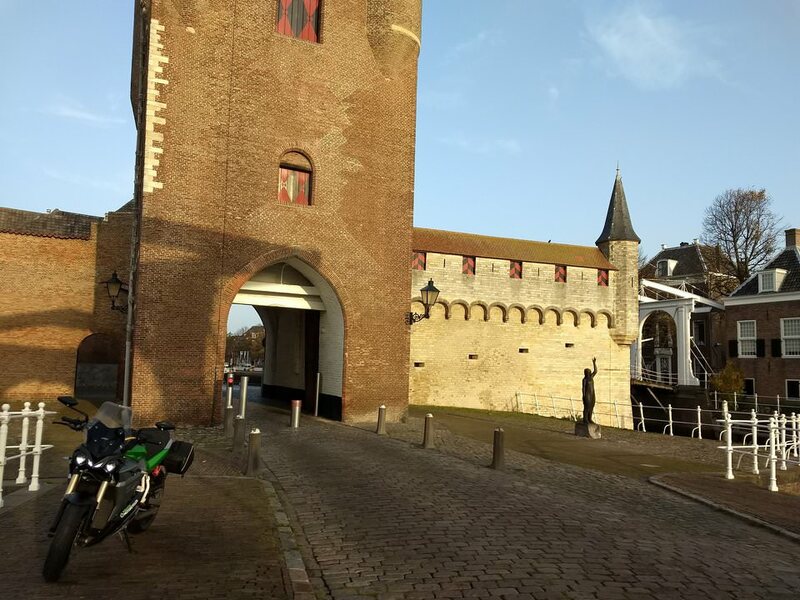 I drove to the Maassluis ferry, crossing over to Rozenburg at 'the other side'. Not a lot of people there at night. This cuts a significant piece (of kilometers) out of the total distance to make it to Zeeland, more than ideal with the Eva. Plus I like to look at the waves and take it slow. Interestingly enough, I get on the ferry with Eva telling me we have 30% left in the battery. Though after restarting the bike at Rozenburg, the display updates to 46%! Maassluis-Rozenburg ferry on a Sunday night. Carefully planned ahead I continue the drive to Hellevoetsluis. 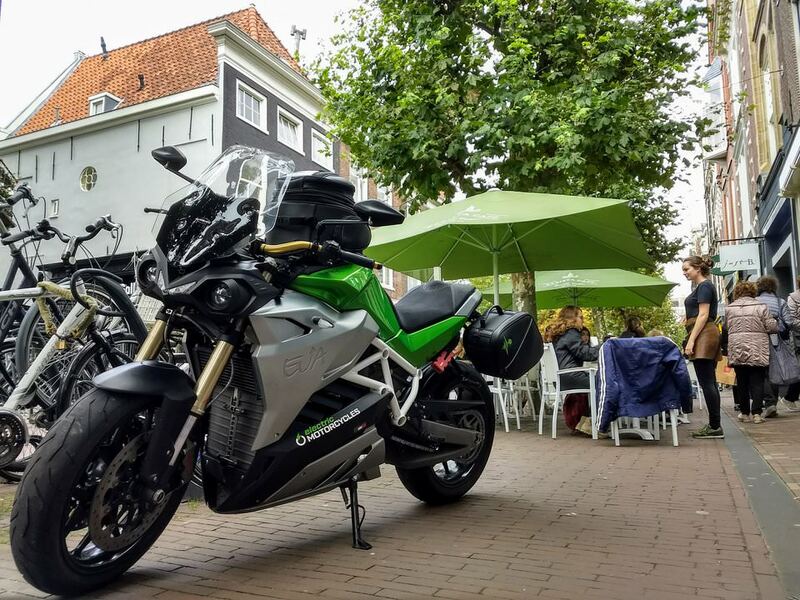 Thanks to the local municipality there, Eva can arrive from Amsterdam to Zierikzee in a buttersmooth fashion. They even try to educate the people to not leave their cars hanging around when not in need of fast charging anymore! With 24% on the screen of Eva I connect the device, it struggles but then it starts. Less than half an hour later I leave with 85% ready to get to Zierikzee. 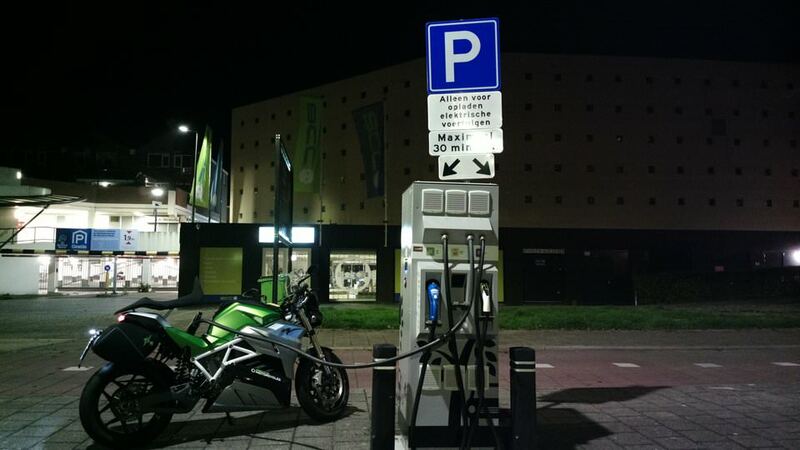 You're probably thinking, why did you charge it up so much, Zierikzee is only 50 km from here! You are right, a bit tired by now, and I left the charger on, for too long. 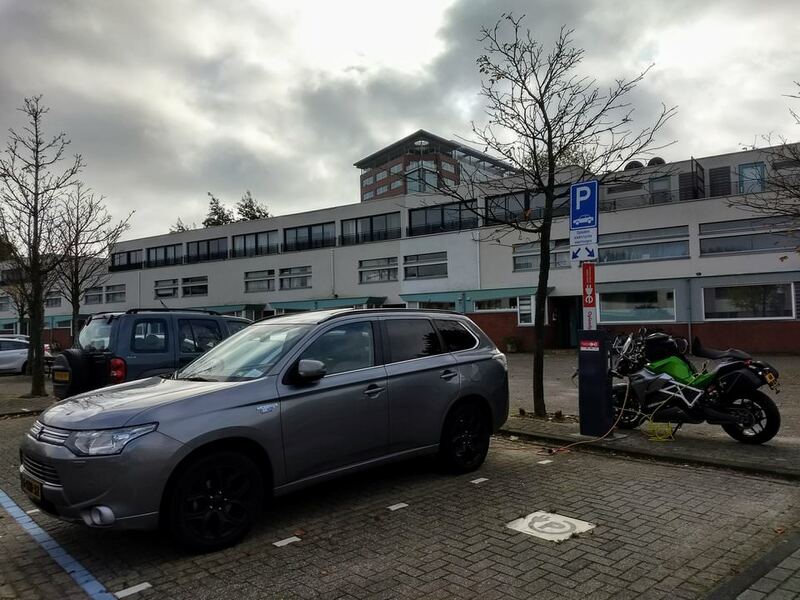 Hellevoetsluis fast charging made possible by the local municipality. Probably my longest day on a motorbike since I got my license, a year ago. And some dancing in the afternoon in between, perfect when Eva was charging. Gotta love the electric life. Cheers! 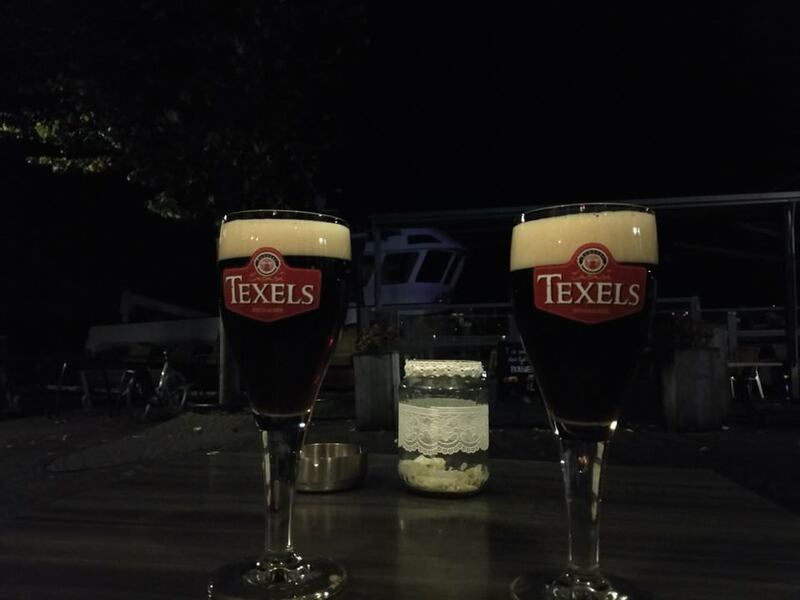 In the Zierikzee marina, it's time for a decent glass. The morning is great for silent photos. Just when the boats are back in after a night of fishing. 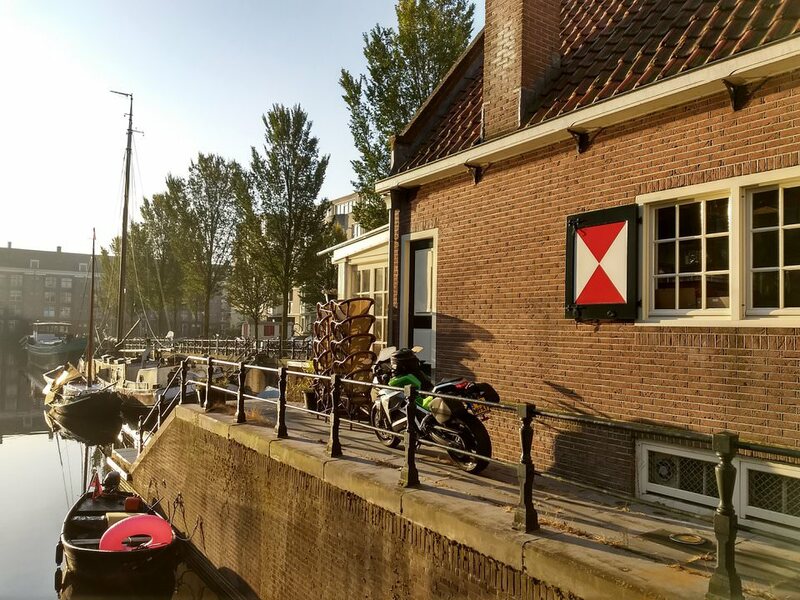 A quiet Monday morning, in Zierikzee. Zierikzee, I will keep coming back for you. Zierikzee. Continuing our tour. 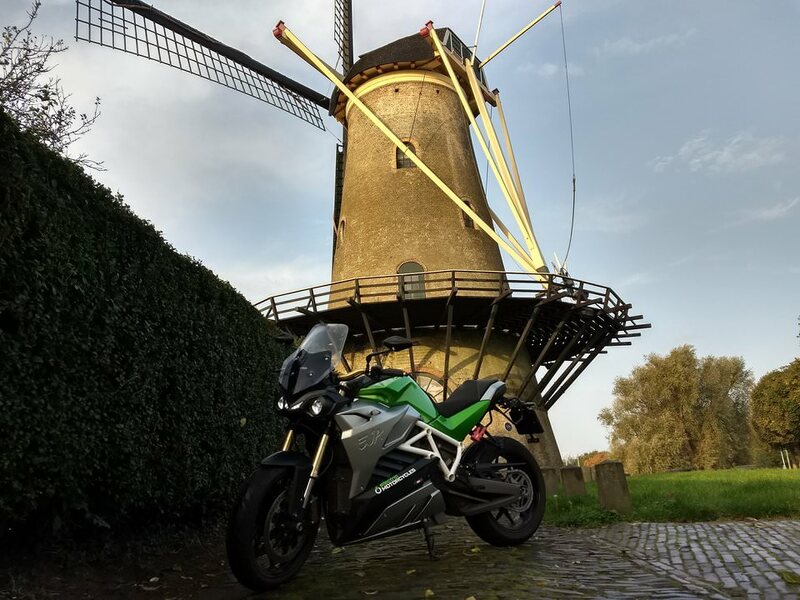 Eva and the famous windmill Den Haas. Den Haas, flour mill at Bolwerk, Zierikzee. The Zuidhavenpoort, the origins of which are more than 500 years old(!) and Eva. 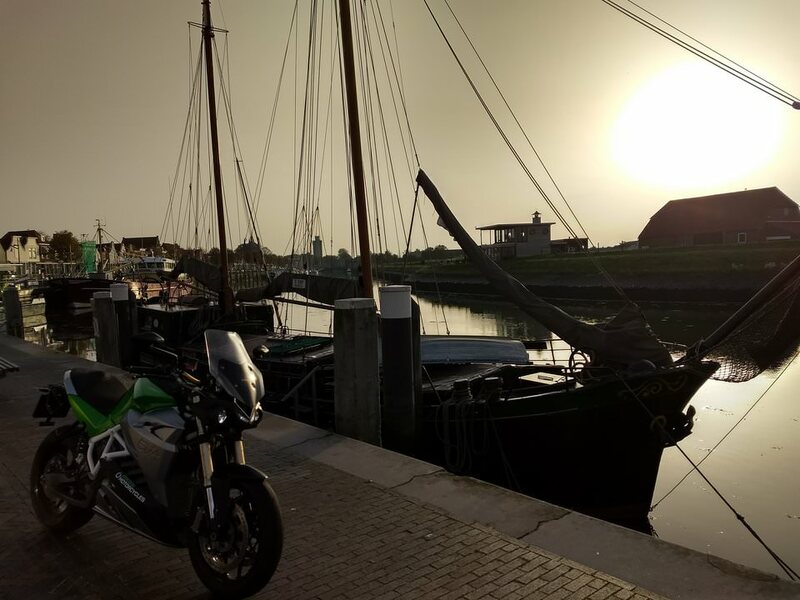 The Zuidhavenpoort, Zierikzee. How to make Eva look tiny. First try. 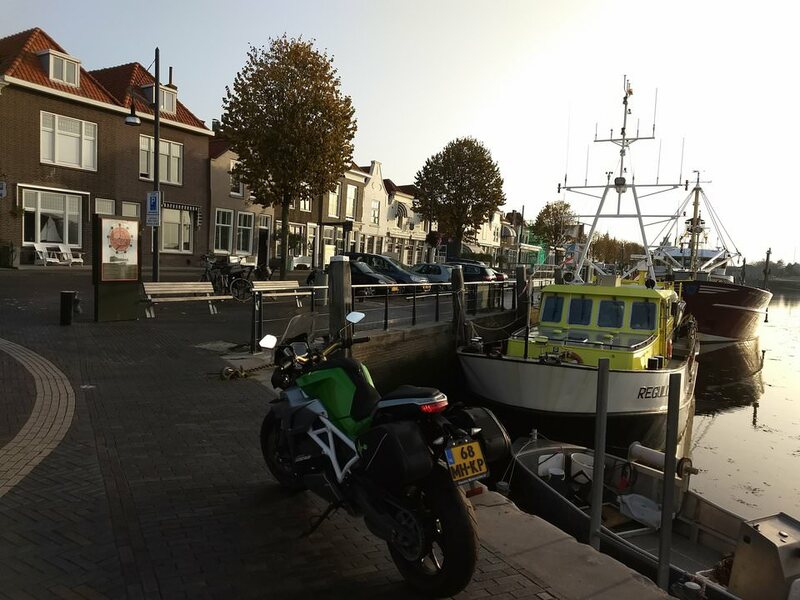 The Zuidhavenpoort, Zierikzee. When Eva is waiting in front of the HEMA, everybody is all eyes. 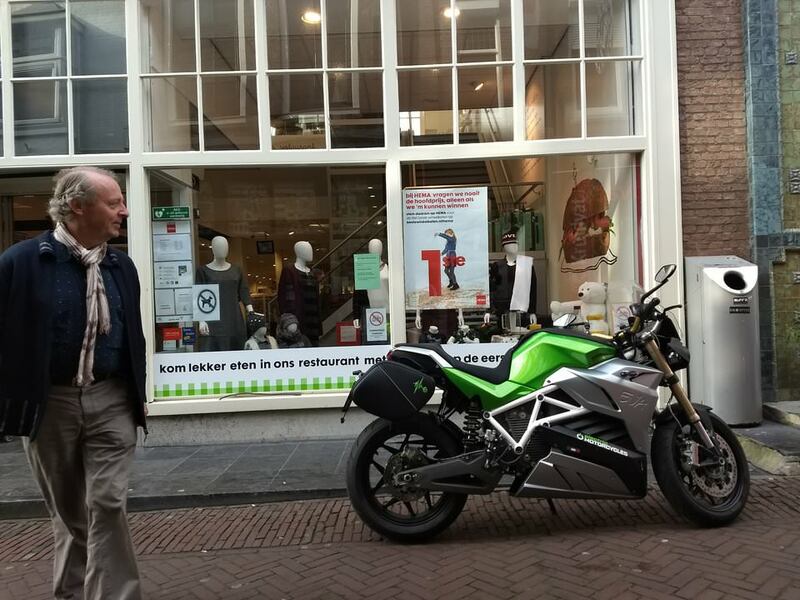 In front of HEMA, Zierikzee. Eva and the Dikke Toren, a childhood favourite. The Dikke Toren, Zierikzee. Time for a trip around the island. Visiting The Deltawerken (keeping us dry). Next to the Oosterscheldekering or the Deltawerken. Of course the real thing, is the other side. Probably my favourite photo. Next to the Oosterscheldekering or the Deltawerken. Eva and some collectors of the very energy that can drive us all around the country. The future is green. Touring the island I ran into a fun object. Love to fly. My favourite Oosterschelde beach, near Zierikzee. Boerenweg playa, near Zierikzee. Ocean view. Yet not, the ocean. Time to head home. Oh no. 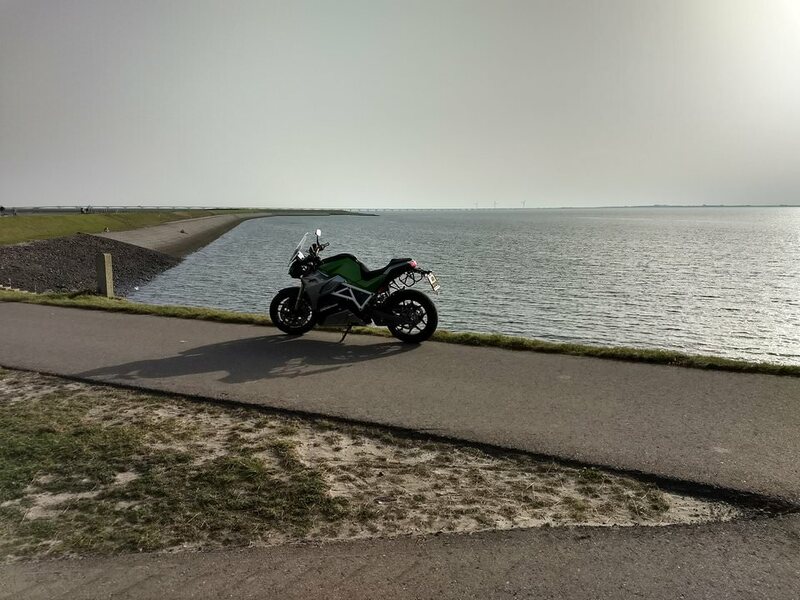 The island full of 80 km/h roads, made riding very easy and totally stress free. But look at my figures when arriving at my favourite fast charger in the country! Yes that's right, 12% left. Just before getting there I tried going full throttle in the fastest mode and you could notice that the oomph was mainly gone at this point. What a beautiful day for electric riding. Almost a 100 km driven around the island today, still 51% left in the machine. When doing small roads and less crazy, it's easy to cruise to all your favourite beaches and still have juice at night to leave the island, like I did! 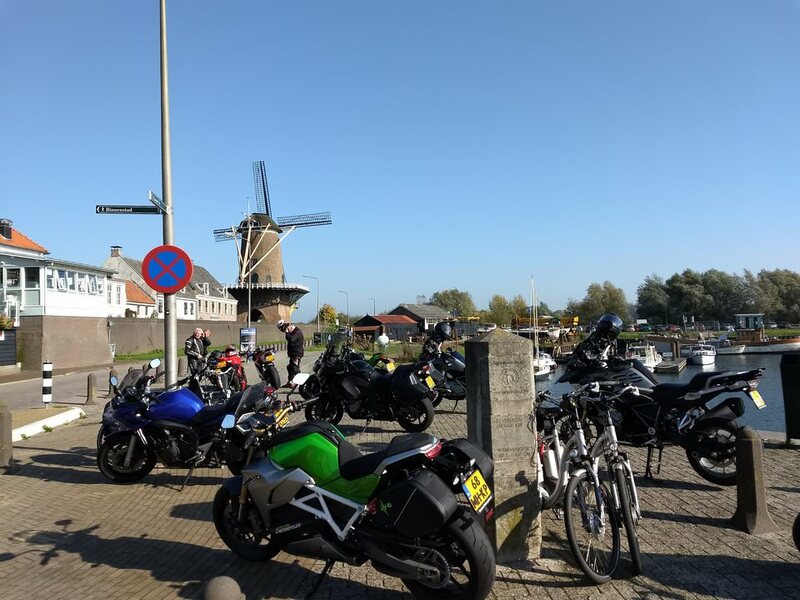 Wow, made it to Hellevoetsluis barely. After a couple of minutes of charging somebody came up to me. 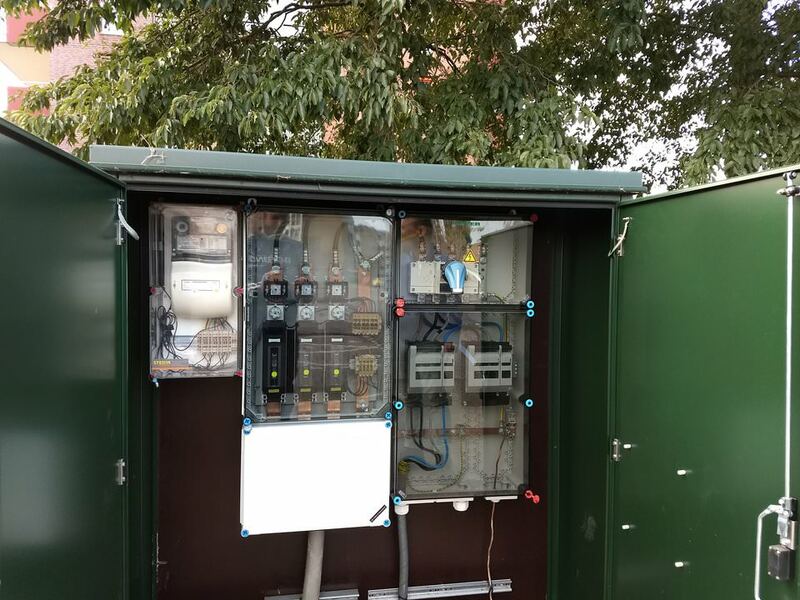 It was Bob, he was one of the people responsible to have this charger installed in Hellevoetsluis. We had a fun chat and he even showed me the insides of the inverter where the power is actually coming from. There is room for a second one. Half an hour on my favourite Hellevoetsluis charger takes me from 13% to 84%! Visiting family in Leiden makes for a sweet pitstop with a great meal while using a normal charger one block away from their house. That way I leave Leiden fully charged, after a relaxing night. 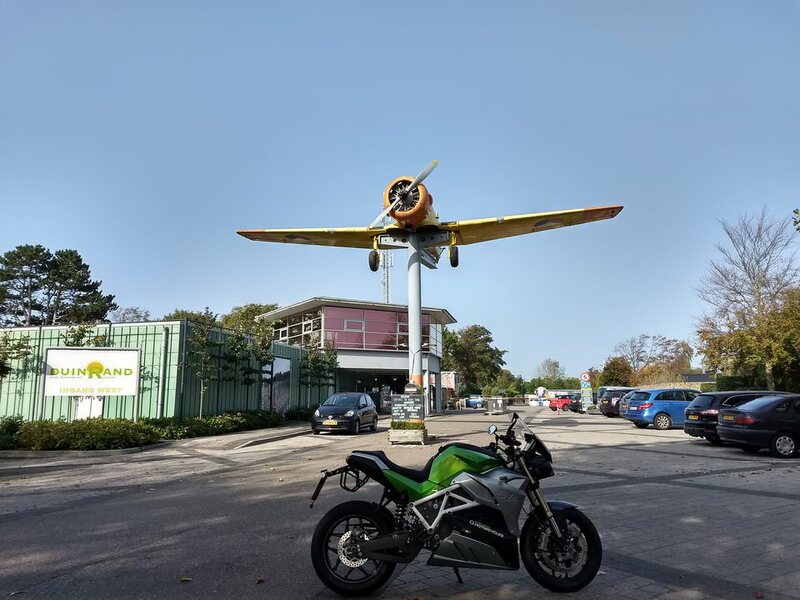 To get to Amsterdam is only a short ride which makes this perfect timing for some power bursts, now that I have full charge and not that many kilometers to go, let's fly! A sad day but also a great one. Taking Eva back 'home'. Service is the name of the game here, as I got a friendly ride back to the train station. 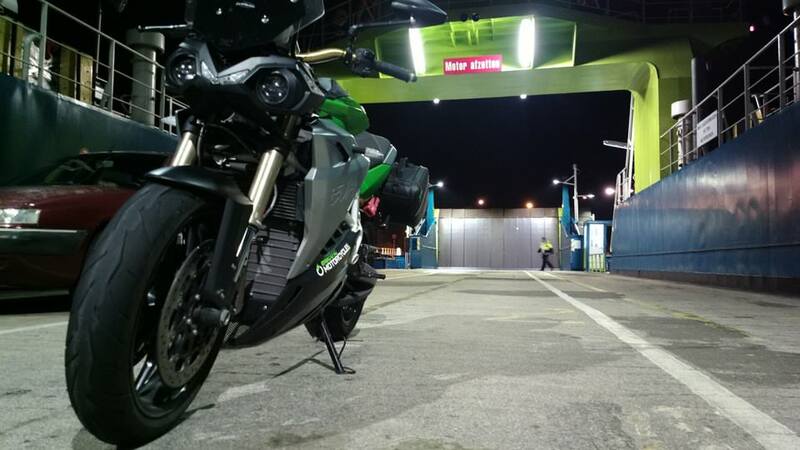 Electric Motorcycles, we will meet again! A happy place. tacho says 5669. Bye Eva! By the way, all the tech specs of Eva are clearly stated here. I've used many electric vehicles over the past years. In Berlin I took a lot of BMW i3's around the city using DriveNow. Participating in the electric rally in Amsterdam in 2013 with one of my best friends I immediately understood things had to change. That day I signed up with car2go. The first years I was driving all around town daily! 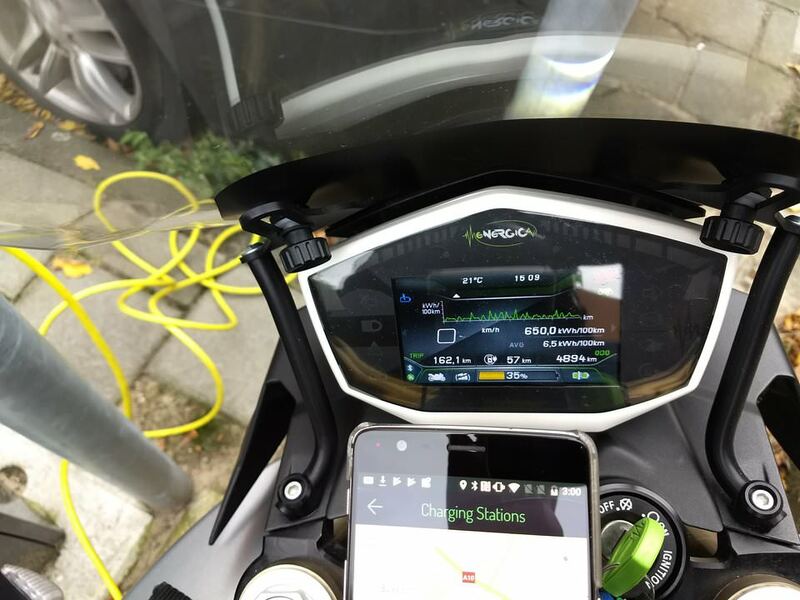 In those days they had a great reward when charging a lowly powered electric smart car: connect one that has <30% charge and receive 20 bonus minutes in your account. (Probably some of you know that DriveNow in Germany adds half an hour bonus when you get some gas for the car). Car2go in Amsterdam has changed the rules, the bonus has been lowered to ten minutes. Still fun if 'it happens to you' and you find a free charging pole nearby. 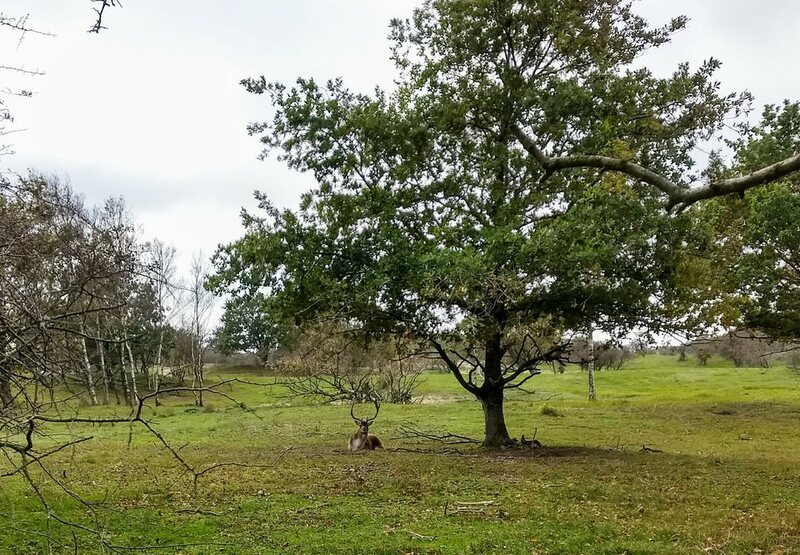 In the past year I've noticed some great changes around town as well. 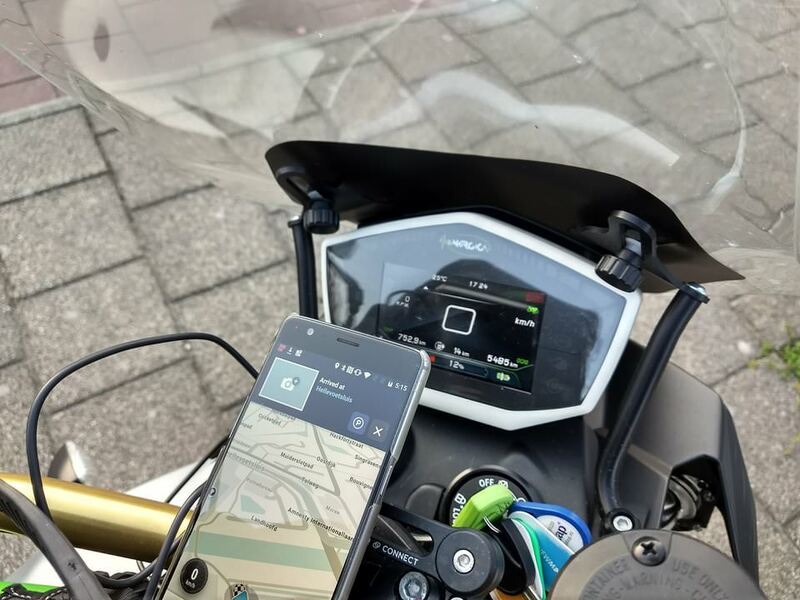 I took an Urbee electric bike for a spin. Flying past everybody, swiftly moving the pedals around, a great turbo, this is what you want. Even cycling with my own broken bike on the side I could pass everybody on the bike lane. Lots of people watching with amazement from the sidewalk! Red lights no longer a real slowdown, because you get back up to speed so quickly, such a great feeling. In Berlin I signed up with Coup, new electric scooters that feel like a mini thanks to the 'low' model. No long legs required. You have to wear a helmet, but such great power boosts, I love it! Amsterdam has a pilot going on ran by the company named Felyx. Quite a bulky machine, but silky smooth you are able to move around the city at a perfect steady pace of 28 km/h. Very comfortable, and super easy to have a nice conversation with anyone on the back. No need for return trips, leave it wherever you want. Even my dad uses it regularly. Recommended! Recently I’ve spotted a lot of unu’s around Amsterdam. One in particular I like a lot. His name is Pedro. You can find his adventures on Instagram. An affordable, retro looking, electric scooter delivered to your doorstep! Hovering along the dikes, and the islands, there's a smoothness to the whole experience simply impossible to ignore. In the BMW i3 I learned about the principle of one pedal driving, read this to find out more about it. 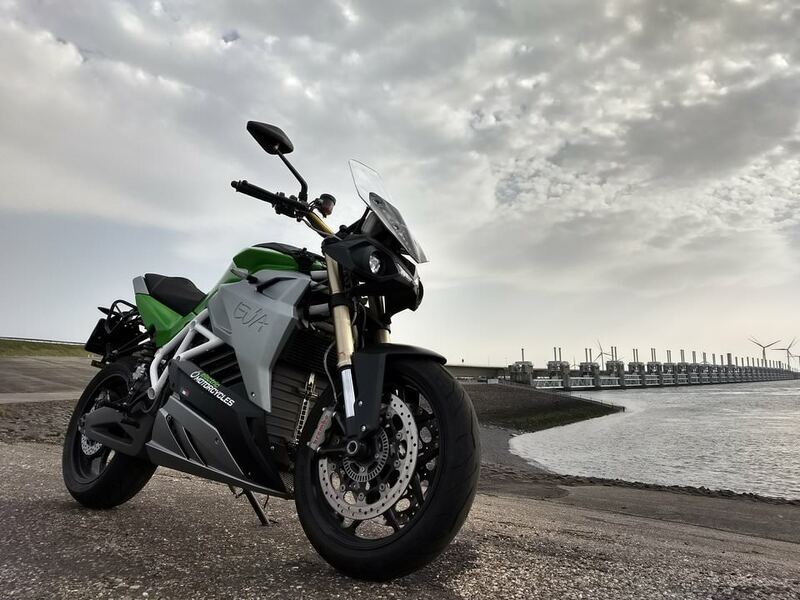 The Energica Eva has a couple of different automatic breaking modes. I tried the medium setting last time, when you let go of the throttle, there is a quite strong breaking effect. These last four days however, I was using maximum breaking almost all the time. Regeneration to the next level, zero manual breaking necessary when riding normally. Putting Eva's regeneration to the highest level wears your body down a bit, there's quite a huge breaking effect kicking in when you let go of the throttle. When you get used to the rhythm it's a comfortable situation that makes riding effortless and one handed. When riding in quiet areas, on my old TransAlp, one of my passengers last year duly noted that obviously some of the people living in these areas hate motorbikes. This is where Eva comes in. Practically nobody knows you're there. Of course there is this sweet buzz and some 'whining' thanks to the chain, but it's nothing compared to any 'normal' motorbike. To get a better idea about handling and sound, please see this Italian video. In my days looking for adventure with Eva, there has probably been one thing that I have to work on for the future. It is a true heavyweight champion. This especially means when moving around slowly, parking and so on, maybe changing direction in a small street somewhere, you have to be a bit careful. Other than that, Eva is a breeze to ride, as soon as you unleash the power it's hard to describe the fun factor. Quite some friends have tried the backseat, no need to tell them to stay clear of the exhaust! But a big need to explain they need to hold on tight. Because everybody, simply everybody, is amazed by the speed and the sense of futuristic racing that take over when you unleash the powers of Eva in speed mode. I received some quotes in Dutch that are not super useful here, but it's guaranteed to blow every passenger's mind. They've never experienced anything like it. Promise. When using the power Eva hides in the battery pack, an amazing sense of speed comes over you. No need to shift any gears, hardly any breaking necessary. Super luxurious. When you top 30 km/h it seems the bike is only gaining power speeding up even quicker. Together with the low level futuristic sounds coming from the 'engine' the feeling you get when driving is nothing short of sensational. Driving a regular motorbike can be hard work, on the Eva you can focus on other things. When you get the hang of it, roundabouts, traffic lights, they become something to look forward to. And while I love the sound of a screaming engine like any other guy that has been a 16-year-old-boy, I can absolutely get comfortable with the soothing future sounds of Eva. 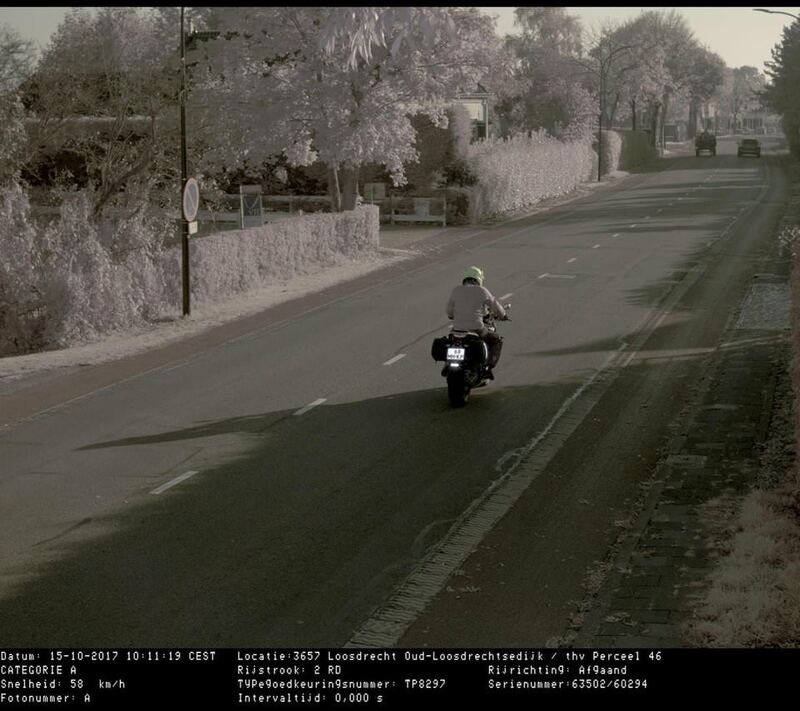 The zoof, zoof idea when crossing the peaceful Dutch countryside, is super easy to get used to! These lovely people, I cannot thank them enough. 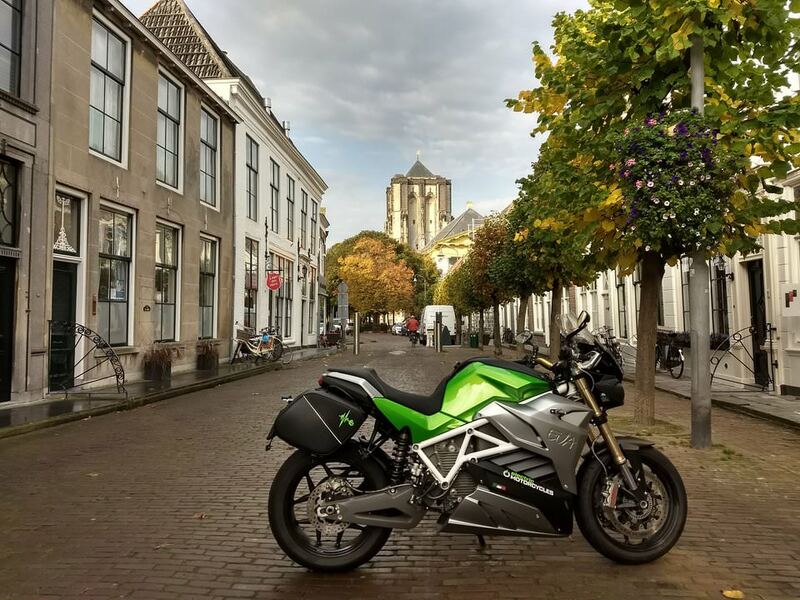 There's one thing you should really know, when you rent one of their electric monsters you can freely charge all over the country (and our neighboring countries too!). Together with the keys to Eva I found charging possibilities with Plugsurfing, ecotap and newmotion. The three of them together will give you options (and super useful apps) no matter where you want to charge! It cannot be overstated how important this is riding Eva. Plus it is included in your rental package, charge, charge and charge some more! Sometimes, when feeling like a real adventure, I used the sportmode. Nothing seems to change, it's the press of a button, there's not suddenly a roaring engine. But. The sheer power. It feels like a movie, the dash is screaming in colors, somebody had fun programming this. More and more turbo's, Eva unchained. I feel like I'm flying. Luckily Eva weighs a hefty sweet 260 kg's and that way you stay comfortably stuck to the asphalt. Wow. 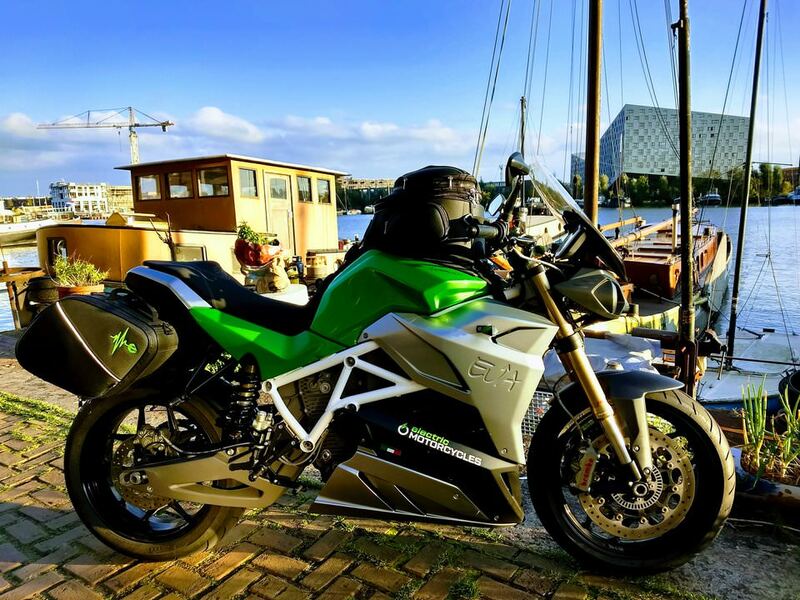 Thanks so much, it's hard to put into words, Marchel, Electric Motorcycles these days have been some of the best of 2017. 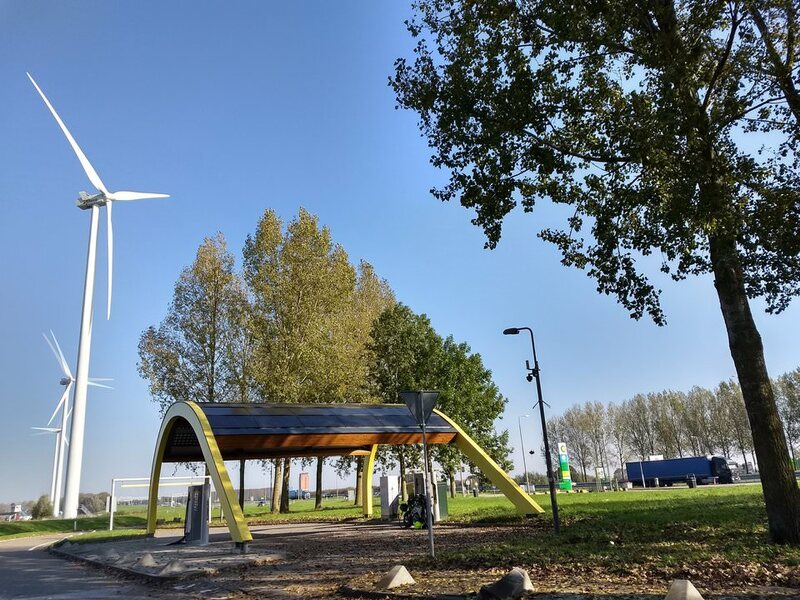 Fastned, Gemeente Hellevoetsluis, Plugsurfing, ecotap and newmotion, it wouldn't have been the same without you! 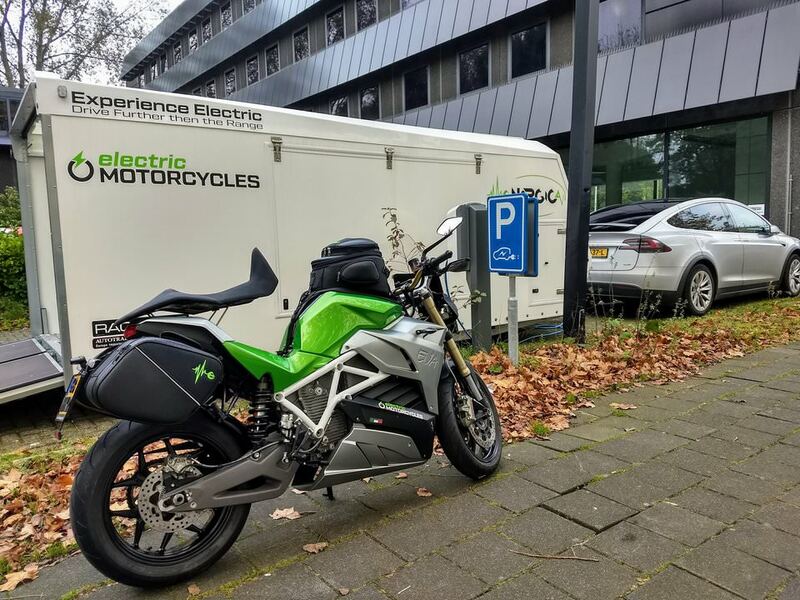 Curious about electric driving on two wheels in Amsterdam? You can book yourself a testride on the unu scooter. It's not Eva, but it's easy to use, affordable to buy/ride, and a beginning in getting around green.